Super Savings Item! Free Shipping Included! 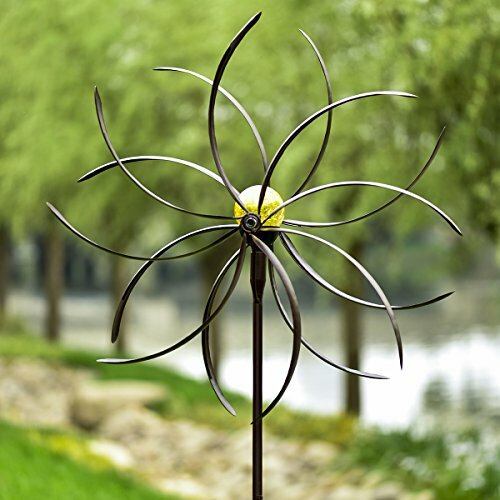 Save 36% on the GIGALUMI Solar Wind Spinner Crackle Glass Ball Solar Lights, 25.5'' Dia, Bronze Powder Coated Finish, Dual Rotors Wind Sculpture Yard Art Garden Decoration by GIGALUMI at Outlet Shopping Guru. MPN: 6884. Hurry! Limited time offer. Offer valid only while supplies last. Extra Large Wind Spinner: 25.5" Dia. x 71"H, much larger than other normal wind sculptures. Premium Finish: Durable metal construction with a special finish that's dimensional, long-lasting and weather-resistant.